Action sports entertainment brand Nitro Circus has teamed with MTK Greenover Sports to launch a new line of branded skating paraphernalia. Distributed across Europe and UK, the range will be supplemented later in the year by a selection of protective gear with a full range on shelves by November this year. The launch will coincide with Nitro Circus’ new European leg of its You Got This tour. 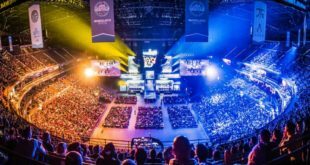 “Nitro Circus is known for pushing the boundaries in scooter, skate and inline – with hundreds of world first tricks performed by our athletes, we have been at the forefront of progression in these sports,” said Cassie Dombrowski, vice president of global licensing and consumer products for Nitro Circus. 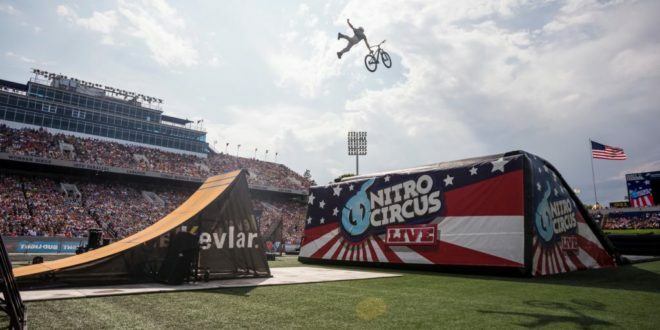 Dan Maker, director of MTK Greenover Sports, added: “We are delighted to be working with the Nitro Circus team and can’t wait to show off the entire products range which we have been working on over the last 12 months.